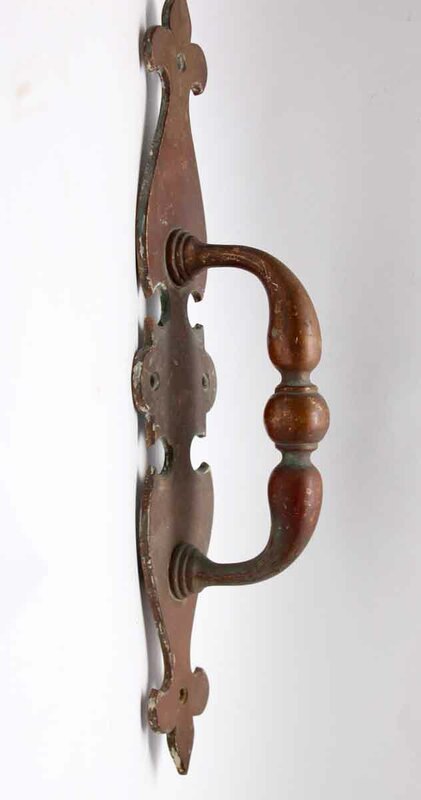 Colonial bronze door handle pull. One has a darker patina and needs cleanup. 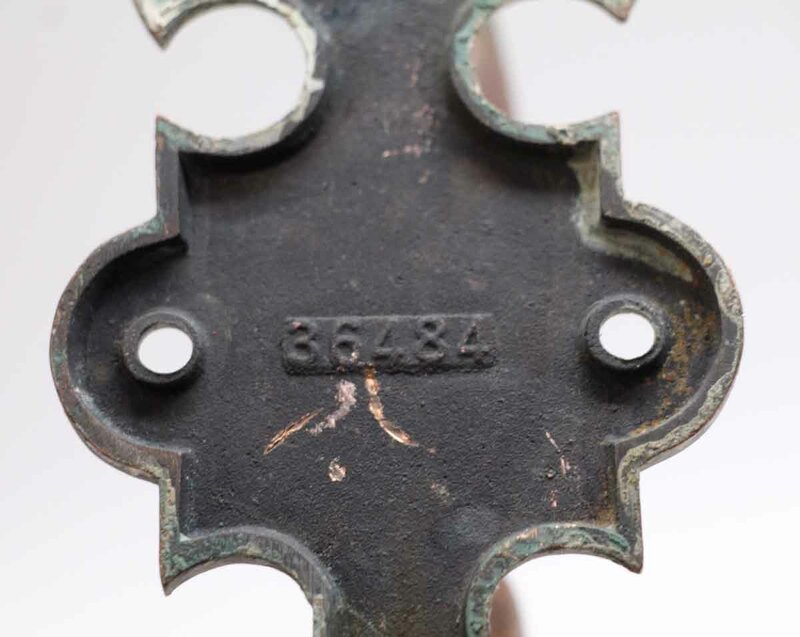 Inscribed 36484. Priced each.